my my what a stunt. Karasu, you don't give yourself enough credit. The mascot idea was Karasu's - he cycled through a few pictures before finally settling on CS's lovely gem of a profile picture. Also - Al, please refrain from one word posts. k thx. Ok, seriously can we remove it? It's ugly. Distracting too. Word. Akira wrote: Ok, seriously can we remove it? It's ugly. Distracting too. Word. If Akira's pic was up there, you'd have to delete the site after a day due to sever retardation. if i recall, you were supposed to be working on one scy. But seriously, we need a banner ._. We've got an idea for a banner. 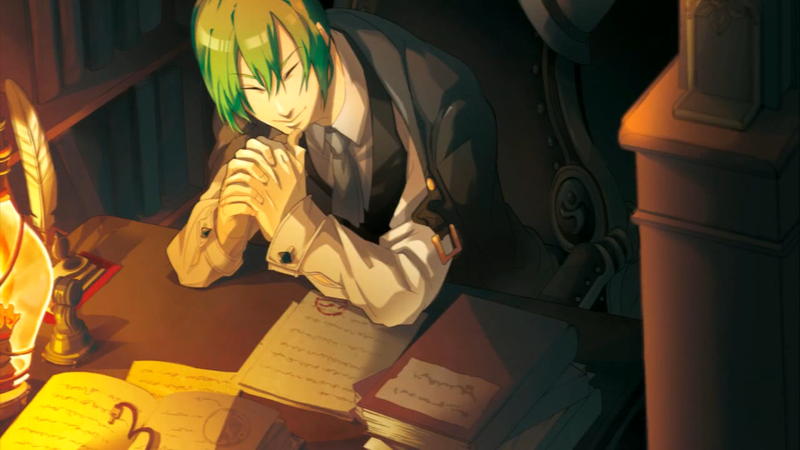 It's one of Hazama from BlazBlue; really calm, soft on the eyes, and just a touch of neat class to have. Really gives a feeling of subtlety. ^ Agreed, Hazama sama will do. Hi guys. I just came back to third the recommendation of Hazama... not really. I just came back because my broken arm which I neglected to tell many people about has given me a backlog from hell, which has kept me away from several sites. ...but I still third the recommendation. ...so now that it's been over 3 days since 4 of us agreed on this new banner, when are we actually going to see change? Alucard009 wrote: ...so now that it's been over 3 days since 4 of us agreed on this new banner, when are we actually going to see change? Ok seriously, take it down ._.